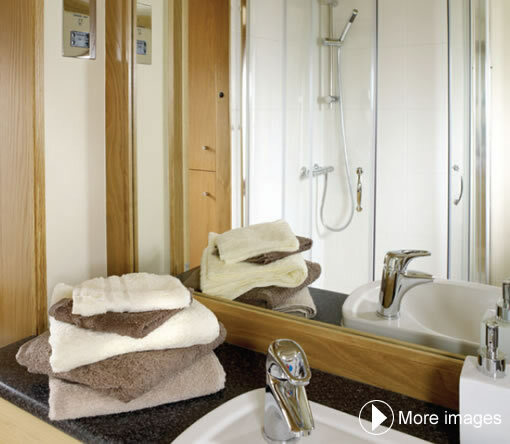 The clean modern lines of the bathroom give a spacious feel to the boat. There is a Quadrant corner shower, which is fully tiled, and a white cornermounted Vetus pump out loo. A white ceramic basin with chrome monobloc tap is set into a Shaker style vanity unit, with a large mirror above. Further storage is provided by shelving and a storage unit. Hardwood door with frosted glass for privacy leading to the bedroom.